Richard Burstein is a real estate attorney who represents and counsels national and regional commercial real estate developers and tenants throughout the United States. With more than 40 years of experience, he counsels clients on transactions, investments, and the development of regional and community shopping centers, office complexes and industrial parks, urban redevelopment projects, and multifamily residential developments. 2018 – "Richard Burstein has over 45 years' experience advising developers, REITs and retailers. Sources highlight his strength in leasing work and call him 'an excellent relationship builder.'" 2017 – "Richard Burstein has been acting for clients on real estate matters for over 45 years, and is best known for representing REITs, developers and major retailers. He recently assisted Forbes Miami with the $45 million development of the Miami WorldCenter." 2016 – “Richard Burstein is a seasoned real estate attorney with a strong reputation in the market for his representation of real estate developers in financial and transactional issues relating to commercial and residential developments. He also routinely advises REIT and retail clients in a variety of complex property matters." 2015 – “Richard Burstein is a real estate veteran with more than 45 years in the field and figures prominently in the area of retail, with strong expertise in shopping center properties." 2014 – “[Richard] represents commercial clients on a regional and national level, with a particular focus on the retail industry. He is described as 'a good lawyer with a great reputation, and a trusted adviser to his clients.'" 2013 – "[Richard] is recognized as one of the leading real estate attorneys in the state. He was recently called upon to advise Ramco-Gershenson on a significant series of real estate acquisitions, dispositions and financings." 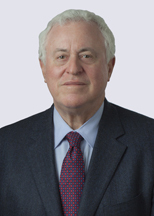 2012 – "[Richard] is experienced in advising developers on transactions and investments. Clients appreciate his astute business sense and his reliable judgment." 2011 – "[Richard] recently worked with the Church of Jesus Christ of Latter-day Saints to close a ground lease for the development of a major urban development in Salt Lake City. Burstein is noted for his excellent contacts, particularly in the retail developer industry." 2010 – "[Richard is] the subject of considerable praise from satisfied clients: 'He is an intelligent, levelheaded lawyer and a great deal-maker - the type of attorney you want on your side when you have to make a deal.' In addition, 'he effectively analyzes all sides of the transaction and is very efficient with his time.'"